Dual-Edge Blade ensures extra precise and ultra speed trimming. Vacuum System simplifies the cut hair gathering by forcing hair into a special container. Some customers find this trimmer rather wide at its base. Panasonic trimmer will help you solve a problem of hair sticking out of your ears, nostrils and eyebrows. Thanks to the mirrored cup it trims in hard-to-reach areas perfectly well. The trimmer comes equipped with a rechargeable battery. It will save you the trouble of buying replacement batteries every couple of months. It will also save you some money in the long run. The hair attachment will let you trim sideburns and contour your facial hair. Some find the model's vibrations a tad too strong. 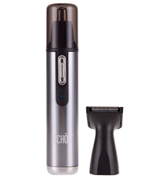 This model from Schon is easily the best option for people who do not feel like investing in a beard trimmer in addition to the nose and ear trimmer. This small unit does it both, so you won't need any other tool to keep yourself well-groomed. 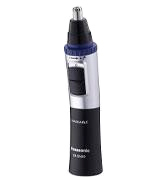 Philips NT3160/10 trimmer boasts ProtecTube technology™ with a foil guard to prevent sensitive skin from irritations. The glossy part of the body is prone to scratches. 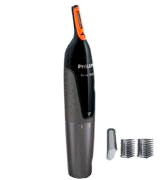 If you're looking for a high-quality trimmer, Philips device is exactly what you need. Innovative technologies make this trimmer effective and easy-to-use. Vortex™ Cleaning System dramatically simplifies the trimmer cleaning. All you need to do to remove cut hair is simply wash the blades under the running water. Wash Switch Ring is located a bit inconveniently. By choosing Panasonic nose and ear trimmer, you get an ideal device that will remove unwanted hair from most body areas in a quick and efficient way. Stainless steel blades are rust- and corrosion-resistant, so you wouldn't need to get worried about keeping it on a shelf in a bathroom on a permanent basis. Learning to use the eyebrow attachment at the right angle might take some time. 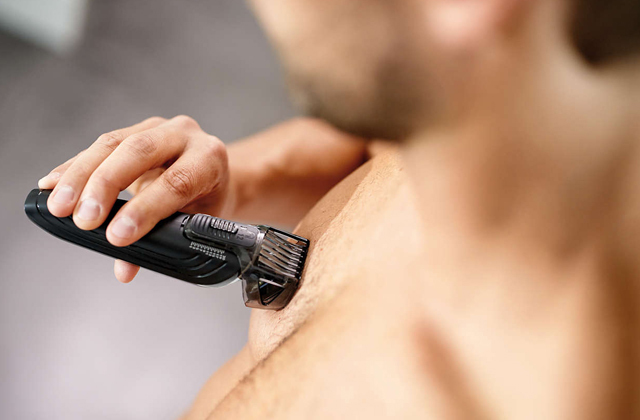 Wahl trimmer will become your best personal stylist helping keep well-groomed and smart. Not only can it rid you of sticking out nose hair, but it can also give your eyebrows the right shape to match your face. The Panasonic ER430K Trimmer allows you to get rid of unwanted hair in your nose, ears, and also to style your eyebrows without any pain. Its main attachment is quite little and is designed for hair removal in narrow and delicate zones. And the lack of any additional attachments is compensated by a curved blade design. Owing to such a design, it is possible to work on any part of your nose or ears. 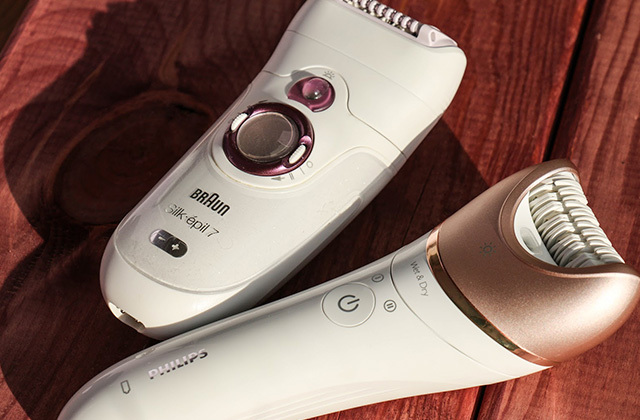 The possibility of eyebrows styling can't leave this trimmer without admirers. It's the best solution for those users who do their best to smarten up their appearance. 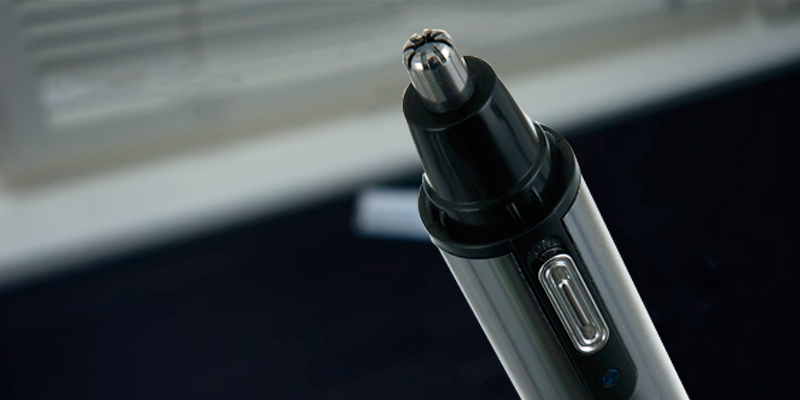 The given trimmer is powered by one AA-size battery which can be easily replaced when needed. This battery-powered trimmer is quite convenient and portable. 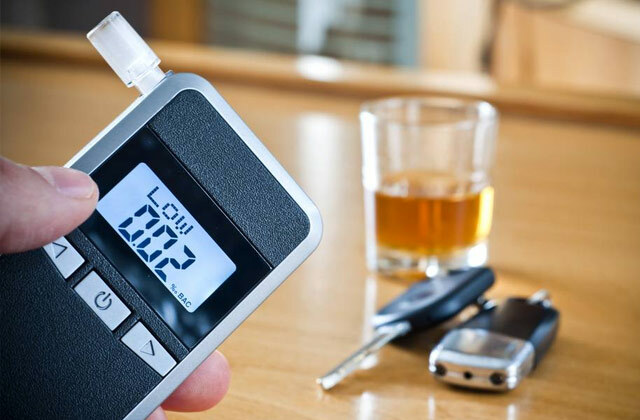 You can take it on trips without worries about recharging. As we have already mentioned, trimmer blades are curved for you to achieve better results. The blades are made of durable and heavy-duty stainless steel and will be in use for a long time without additional sharpening or replacement. As for the hypo-allergic coating, it will protect your skin from unpleasant irritation. 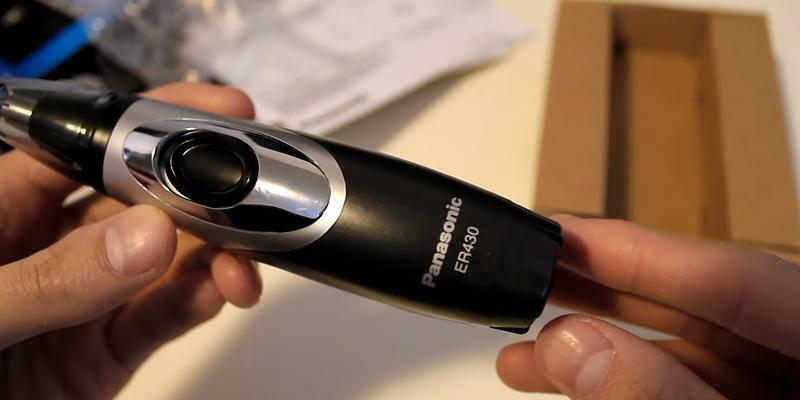 The Panasonic ER430K Trimmer is suitable both for dry and wet use. A waterproof non-slip trimmer body allows cleanups under the running water. The kit includes a protective cap which you can put on the blade for added safety. Also included is a bag for convenient storage and transportation of the trimmer. One more attachment we like about this model is the Mirrored Cap that makes it easy to spot fine and tiny hair. Like we said the Panasonic ER430K is small and portable. Its weight is only 3.8 ounces. So you'll have no trouble carrying it with you wherever you go. There are a couple of things that make the trimmer from Schon a bit more appealing than most of its competition. First, unlike the majority of the said competition, the model comes equipped with a rechargeable battery. It will save you the trouble of buying replacement batteries every couple of months. It will also save you some money in the long run. Second, though advertised as a noise and ear trimmer, the electrical appliance includes a hair attachment. 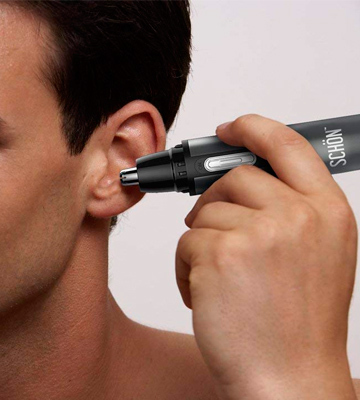 With it, you will be able to trim sideburns and keep your facial hair well-groomed. Aside from making facial hair maintenance much less of a drag, the model is great at removing hairs without pulling them, so your grooming routine should be a rather painless experience. Both the blades and the body of this trimmer are made of stainless steel. 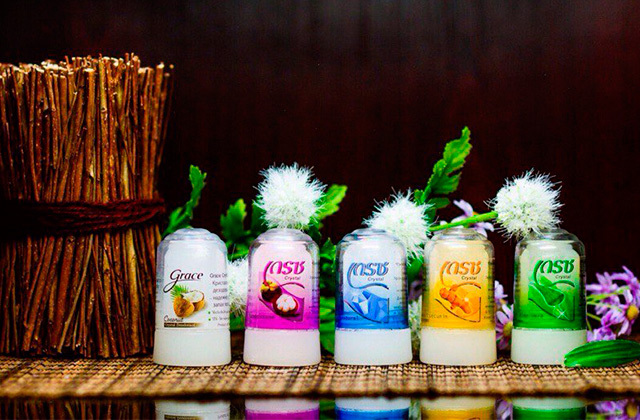 The unit will look great on any bathroom counter. Generally speaking, you'll be able to clean the blades by running them under the tap. But if that doesn't do the trick, there's also a cleaning brush that comes with the model, perfect for maintaining the trimmer and increasing its service life. Some customers report that the trimmer can produce noticeable vibrations from time to time. But we wouldn't even call it mildly annoying, let alone distracting enough to interfere with your grooming procedures. To sum it up, this model from Schon is easily the best option for people who do not feel like investing in a beard trimmer in addition to the nose and ear trimmer. This small unit does it both, so you won't need any other tool to keep yourself well-groomed. Philips company, renowned for its innovative products worldwide, has recently released its new nose, ear and eyebrow trimmer to meet the needs of most customers and provide safe and gentle trimming without skin irritation. 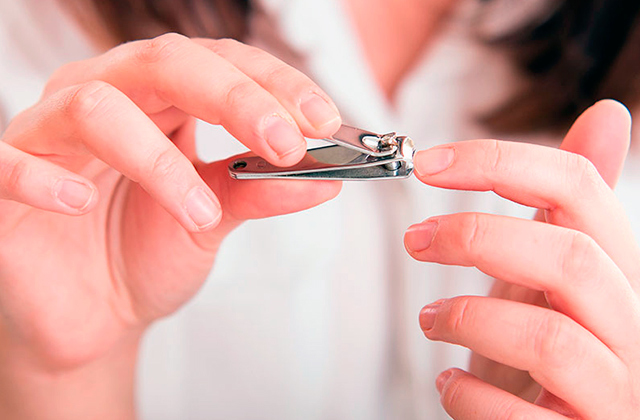 Since the blades are rounded and covered with foil, the trimmer gently trims and not pulls the hair. It is also equipped with 2 attachments of 3 mm and 5 mm lengths to help you shape your eyebrows more accurately. Then, pay attention to a soft grip handle as it will let you use the trimmer with the maximum comfort even if you hold it in wet hands. Finally, you’ll find a travel pouch in the box, quite a useful element to keep your trimmer clean and safe when carrying it around. But if you are an old-school person and prefer classic and maximally effective shaving with a straight razor read our review on this theme and choose the best one cut-throat razor. For most people, hair removing is a painful and unpleasant procedure that they would rather do without. 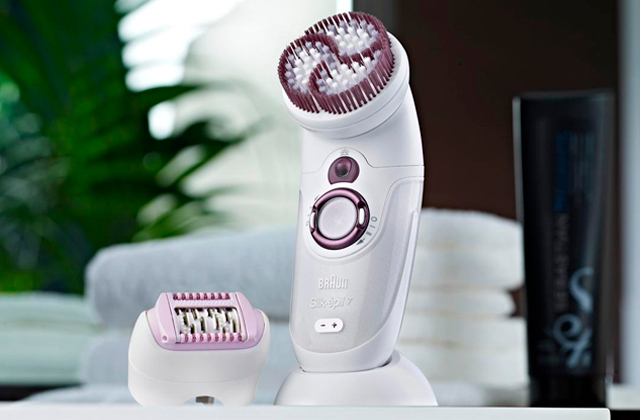 However, thanks to advanced technologies and new design solutions, removing hair from hard-to-reach body regions and face has become a better experience. 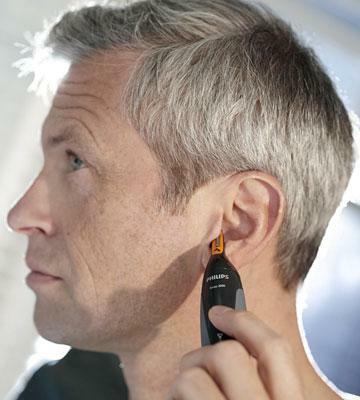 Once you try Panasonic ER-GN30 Nose and Ear Trimmer, you’ll be able to see it for yourself. Here are some of its best features we’d like to describe further on. Curved hypo-allergenic blades are capable of removing even 0.5-mm long hairs. Plus, a dual-edge shape of the blades allows cutting angled hairs as well as those growing in a perpendicular position. Vortex™ Cleaning System enables you to rinse blades under the running water. Note that you don’t even need to remove them. A cleaning brush, included in the box, will help you maintain your trimmer in a perfect condition for a long time. 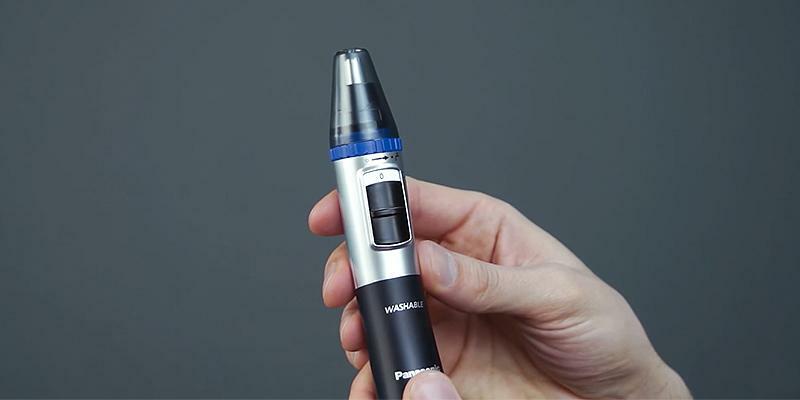 Do you want to check how the Panasonic ER-GN30 Nose and Ear Trimmer works? Don’t hesitate! Choose this model and don’t let irritating hair spoil your look. While taking a shower or a bath, you can use a special shower gel. Its soap-free formula will treat your skin softly, and you’ll never experience skin irritation and redness. 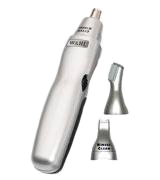 The Wahl 5545-427 is a super sleek tool for trimming nose hair, eyebrows and hair in hard-to-reach body areas. Its stainless steel blades provide fast and smooth trimming. Besides, owing to its robust rust- and corrosion-resistant stainless steel design, it's easy to clean it under the running water. The manufacturer has also included several attachments to meet the requirements of the most demanding users. A reciprocating head is designed for gentle hair removal without pulling it out. Both eyebrow and detailing attachments are provided to give your eyebrows a perfect shape. You can even control their hair length by choosing between 2mm or 4mm options. 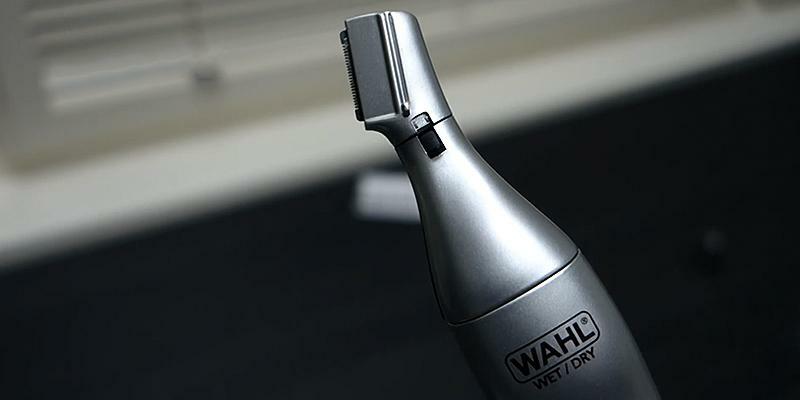 Surely, the Wahl 5545-427 will become your best assistant when you need to create your personal style. Men who look after their appearance should also get a high-quality electric razor for the perfect shaving results. What Is a Nose And Ear Trimmer? A problem of unwanted hair in nose, ears and around lips is familiar to men and women alike. Hair sticking out of nostrils or on eyebrows doesn’t make us feel good about ourselves, and of course dealing with this kind of a problem on a daily basis for most people can be a real stress. Well, not anymore. 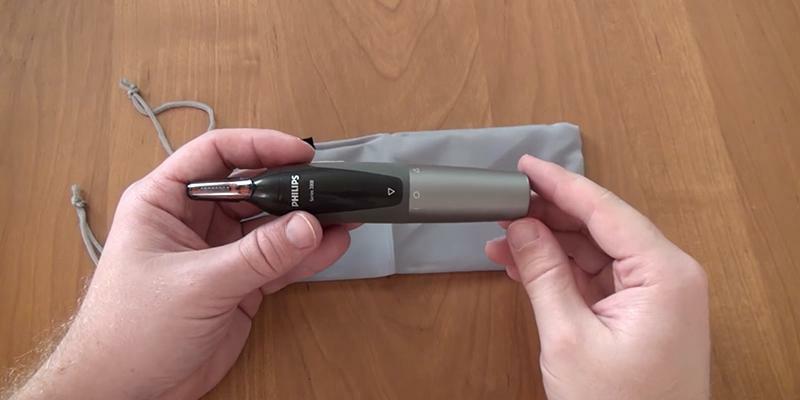 A nose and ear trimmer has been designed to approach the problem of unsightly facial hair in a comfortable way, ridding you of the need to use tweezers, razors, etc. A nose and ear trimmer offers versatility of use and can be applicable not only to face but all other body areas. In this review, we’d like to give a short description of the best 5 nose and ear trimmers available on the market so, you can choose a suitable one for yourself. For men with a detail to their appearance, our review on beard trimmers would come in useful. Women who look after their skin and seek the most comfort should definitely read our comparison of top women razors. Before you go look for a nose and ear trimmer, decide on the type and set of attachments you’re going to use. Apart from basic functionality, most trimmers allow for their versatile use with a focus on different zones. This is mainly predetermined by attachments included in a kit. A Rotary Head Attachment allows for quick cleanup of bristles. 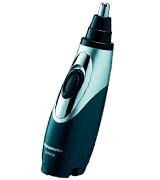 A Detail Trimmer allows for covering wider path patterns and thus, is best suited for trimming hair on face, neck and whiskers. A Beard comb is used for shortening hair, though it’d hardly be of any use for beard shaping. An Eyebrow comb will let you style your eyebrows so as to make them look groomed and more attractive. This isn’t the full set and you may find some other combs with a different fixed length for different kinds of trimming. Battery-driven and battery powered trimmers are very convenient both for home and travel use as they do not need a constant electricity supply. Battery-driven trimmers are fitted with branded lithium-ion battery. As a rule, lithium-ion batteries work much longer and do not lose their capacity during storage. It makes sense to mention that battery powered trimmers are very energy-efficient but here the batteries need to be replaced pretty often. The blade material is very important since the trimmer performance depends on it. Stainless steel, ceramics, titanium, ceramics and titanium combinations are used for manufacturing blades. Nowadays ceramics blades are very popular since they are very economical but they can lose their sharpness after a while. Titanium blades are the firmest but their price is rather high. As for the stainless steel blades, they are pretty sharp and durable. You will benefit from having a trimmer with the hypo-allergenic-coated blades by reducing a chance of skin irritation and redness by times. Curve-shaped blades will let you work on any part of your nose or ears. After all, you need to pay your attention to conveniences of the trimmer. All trimming models have an ergonomic design and are convenient to hold. By the way, the body of the trimmer may have some non-slip parts for ease of use. Most of the modern trimmers are absolutely safe for wet trimming. It means that fully waterproof devices can be easily cleaned under the running water. You can also find non-waterproof models which can be used for dry trimming and hair cutting only. A special vacuum container will simplify hair collecting while trimming. How does it work? The hair is collected in a special container so that your nasal and ear cavities aren't clogged. Lighting is extremely important in nose and ear trimmers. 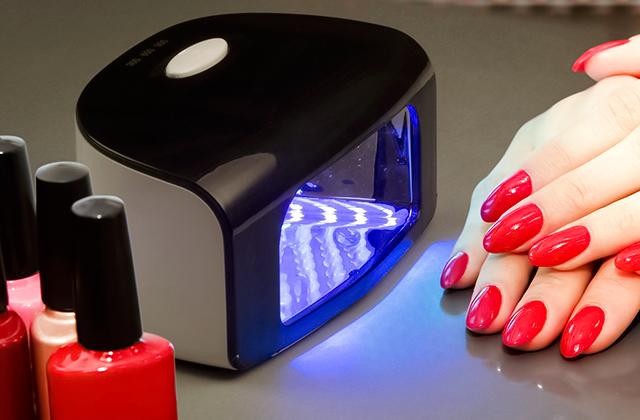 LED light or built-in mirror ensures the highest accuracy. Cleaning brush, storage case, protective cap are incontestable advantages too. We need to admit that trimmer weight isn't of less importance. On one hand, too lightweight trimmer may vibrate, on the other hand, too heavy trimmer won't provide evenness. 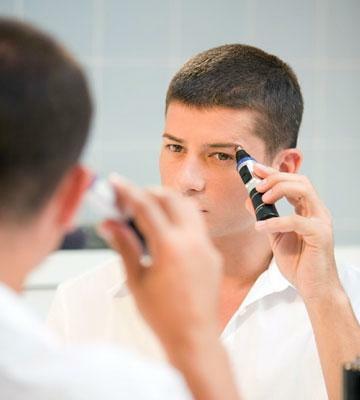 It is commonly considered that the optimal weight for a trimmer makes 80-120 grams. 1. Matt Caputo Breaking Bad Habits: Nasal Hair, MEN'S FITNESS. 2. Erin Weaver Nearly Half of Women Think Nose Hair Is Grosser than Bad Breath, Men's Health. August 21, 2015. 3. Nasal Hair, Wikipedia. November 13, 2016. 4. Chris Barnes Men's Shaver, Razor and Trimmer Buying Guide, Choice. November 25, 2016. 5. Alex Bracetti How To Trim Nose Hair, AskMen.